Own a slice of Water’s Edge Resort & Spa when you purchase a Vacation Club membership! You’ll enjoy waterviews, a pristine beach, local attractions and extensive resort amenities—year after year! 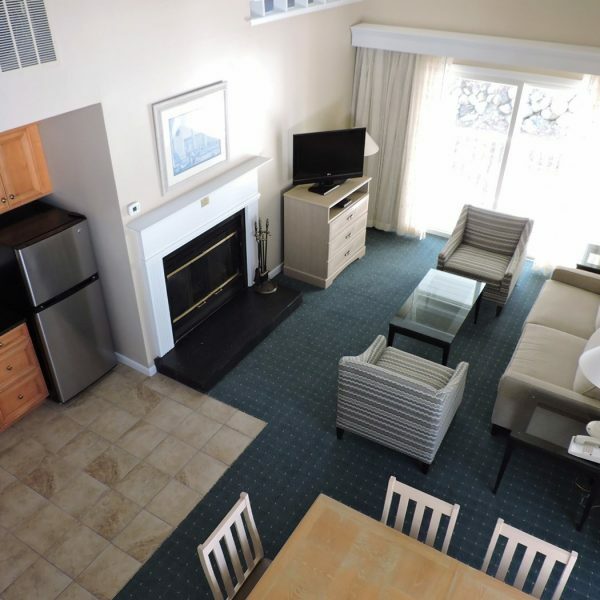 Our beachfront Connecticut Vacation Club allow guests to experience the comfort of owning a summer property, with the commitment of just one week! Garden Condos sleep 4 and Loft Condos sleep 6. 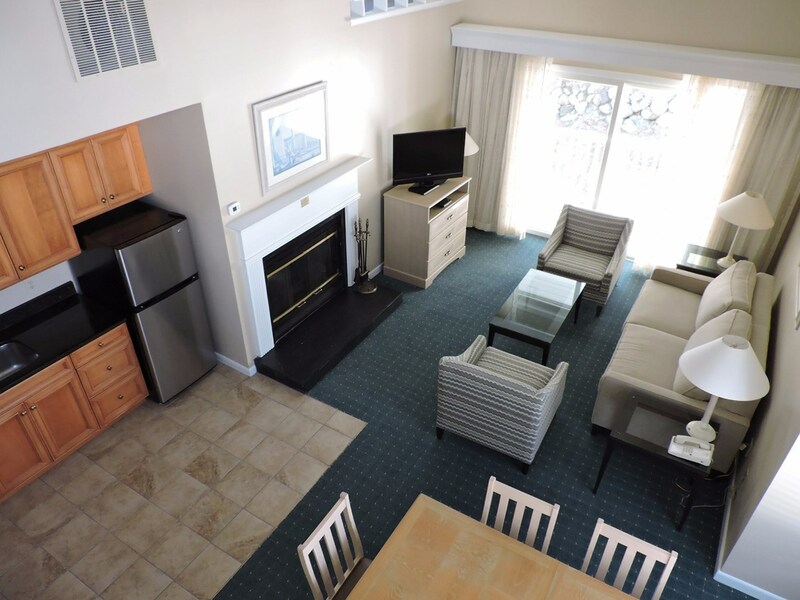 Each of our Vacation Club properties offer spacious living and dining areas, fully stocked kitchenettes, working fireplaces and private balconies. Welcome to Connecticut’s only premiere Vacation Rental resort with beachfront property located directly on beautiful Long Island Sound. It all began in 1946 when Water’s Edge was a hotel called Bill Hahn’s, after its founder. Bill Hahn was well known far and wide for his love of people, his appetite for fun and to many, the perfect host. For over three decades Bill Hahn provided a casual, friendly and family-like atmosphere. Bill Hahn’s was known as a place to unwind and be entertained. The hotel Dining Room became a ‘Broadway’ stage with many not-yet-famous entertainers appearing regularly: Woody Allen, Art Carney, Barbra Streisand, to name but a few. In his lifetime, Bill Hahn became the single largest contributor to the American Cancer Society in Connecticut State, also helping with many fundraisers. In 1983, after the passing of Bill Hahn in the late 70’s, his sister sold Bill Hahn’s and it was transformed into Water’s Edge. Water’s Edge Resort & Spa was further developed into interval vacation weeks and it operates as a full service hotel and corporate conference center. For our guests looking to enjoy Water’s Edge Resort & Spa on a year-round basis*, vacation membership is available and offers real vacation, recreation and exclusive club value. Our Vacation Club members have use of resort facilities* in addition to a week’s residence on property, or join one of our affiliated exchange companies and vacation at any of the 3,000 + resorts located worldwide. You may check out their websites at www.rci.com or www.intervalworld.com for more information. Membership benefits include use of the health club, private beach*, tennis courts, indoor and outdoor pools*, whirlpools steam and sauna rooms. During the summer months, daily activities are offered for children. Our Vacation Club Members have the benefit of enjoying many specials and discounts. We offer 50% off in our Dining Room Monday through Thursday (food only) and 10% off food and beverage throughout the property. ** Phenomenal discounts are also available, exclusively for our members, for that last minute getaway on both our hotel rooms and Vacation Club units. Water’s Edge Resort & Spa has Fixed, summer weeks and Float, off-season weeks. We have great deals on both types of weeks, as the prices will range for Sleep 4 & Sleep 6 units. Many of Our Condos and Lofts offer spectacular water-views. We welcome you to learn more about Water’s Edge Resort & Spa membership. Please give us a call or e-mail at vacationclub@watersedgeresortandspa.com. *Subject to reasonable restrictions including reservations required during peak periods. **Please note Sunday Brunch, Special Promotions and Holidays are excluded. Each condo has a full living room with a sleeper sofa, a working fireplace, a kitchen area with a microwave, refrigerator and two-burner stove, dining area, bedroom with a queen or king bed, full bathroom, outdoor deck, flat panel TV, DVD player, hairdryer, iron and ironing board. There are four Sleep 4 handicapped units. Two of the handicapped units are located in Building 2 (252 and 253), one is in Building 7 (716) and one is located in Building 8 (811). Each loft has the same features of the Garden Condo with the additions of each Sleep 6 unit has two twin beds in a loft area. Buildings 1 and 3 feature a half bath in the loft area and building 2 has a second full bath in the loft area. Buildings 6, 7 and 8 have no additional second bathroom. None of our Loft Condos (Sleep 6 Units) are handicapped accessible. The Vacation Club at Water’s Edge are deeded for life. Can I own more than one unit? Yes, you can purchase as many as you like. We have several multiple week members. Are any of the units Smoking? No, all of the Water’s Edge units are Non-Smoking. Pets are not allowed anywhere on property. How many people are allowed to be on the deed? You are allowed up to your sleep occupancy. Can I exchange my interval week internally? You can contact Member Services at klebeau@watersedgeresortandspa.com to see if what you are looking for is available. Are you associated with an exchange company? We are affiliated with both RCI and Interval International. Click here to for RCI or II. How often do we get a week? Yes, you can rent it through Water’s Edge or on your own. Click here to contact Member Services. Can I sell my week? ** Please be aware of outside companies approaching you offering to assist you with renting or selling your unit. Should you have any questions regarding any company asking for money up front, please contact us and we will be happy to assist you. If you would like to find out the check-in date of your fixed week, please see our three year Vacation Club calendar HERE. Please remember that all requests for weeks must be submitted in writing. If you need a replacement request card, please print one from below. You may scan and email the request to klebeau@watersedgeresortandspa.com, fax it to (860) 399-8644, or mail it directly to Water’s Edge Resort and Spa, PO Box 688, Westbrook, CT 06498. Rental Program: If you would like to place your Vacation Club week into the Water’s Edge rental program, please read and sign the contract HERE. * If you need to meet with a representative, appointments are necessary and available on Mondays or Thursdays during office hours. Please call (860) 399-5901 ext. 2004 or email Kerri Lebeau at klebeau@watersedgeresortandspa.com to set up an appointment.